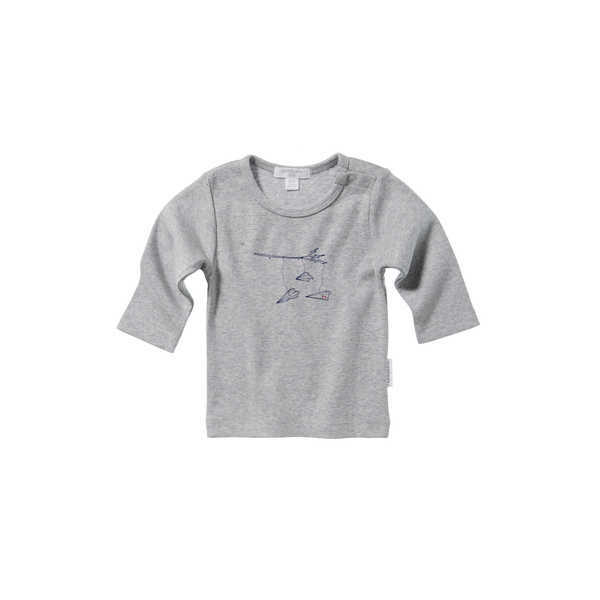 This grey melange long sleeve top is an essential winter piece that can be used as an outer garment or for layering under jumpers and jackets. It features a snap stud closure neckline for easy changes and an airplane print on the front. 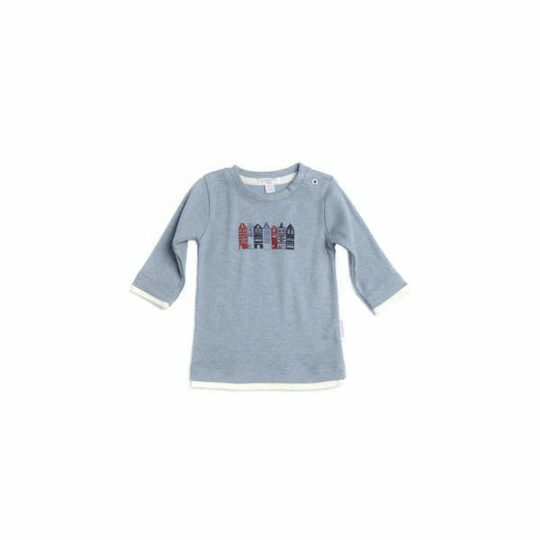 Made from 100% certified organic cotton and machine washable. Available in sizes 00 (3-6 months) – 3 years.